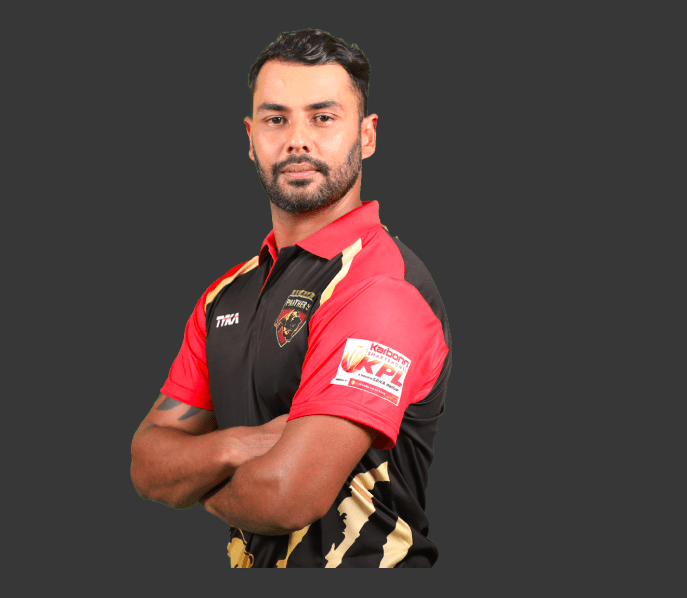 Stuart Binny, son of former Indian Test cricketer Roger Binny is an all-rounder in the Indian cricket team and is playing in the ongoing Karnataka Premier League (KPL). 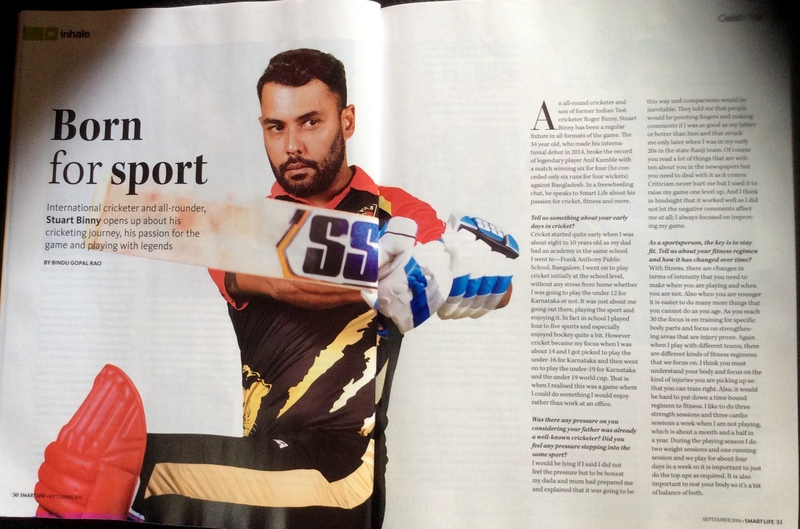 An all-round cricketer who has been a late bloomer in the cricketing circle, Stuart Binny has been a regular fixture in all formats of the game. The 34 year old is the one who broke team mate Anil Kumble’s record (6 for 12 ) with a match winning 6 for 4 (he conceded only 6 runs for 4 wickets) playing against Bangladesh in 2014. He speaks to Smartlife in this exclusive conversation to tell us more. Tell us something about your early days in cricket? Cricket started quite early when I was about 8 to 10 years old as my Dad had an academy which was in the same school I went to at Frank Anthony Public School, Bangalore. 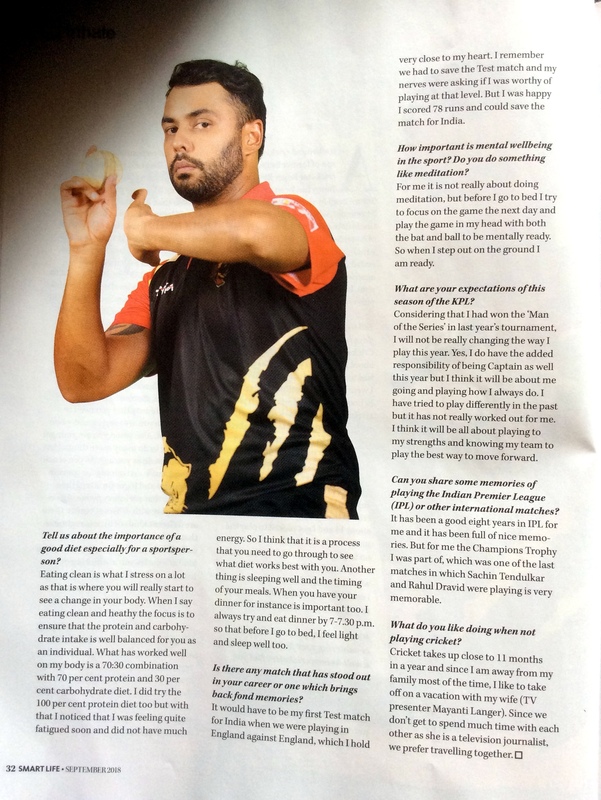 I went on to play cricket initially at the school level without any stress from home whether I was going to play the under 12 for Karnataka or not. It was just about me going out there, playing the sport and enjoying it. In fact in school I played four to five sports and especially enjoyed hockey quite a bit. However cricket became my focus when I was about 14 when I got picked to play the under-16 for Karnataka and then went on to play the under-19 for Karnataka and the under 19 world cup. That is when I realized that this was a game where I could do something I would enjoy rather than work at an office. Was there any pressure on you considering your father was already a well-known cricketer? Did you feel any pressure stepping into the same sport? I would be lying if I said I did not feel the pressure but to be honest my Dada and Mum had prepared me and explained that it was going to be this way and comparisons would be inevitable. They told me that people would be pointing fingers and making comments if I was as good as my father or better than him and it struck me only later when I was in my early 20’s in the State Ranji team. Of course you read a lot of things that are written about you in the newspapers but you need to deal with it as it comes. What it did for me that criticism never hurt me but I used it to raise my game one level up. And I think in hindsight that it worked well as I did not let the negative comments affect me at all as I always focused on improving my game. As a sportsperson, the key is to stay fit. Tell us about your fitness regimen and how it has changed over time? With fitness there are changes in terms of the intensity that are made when you are playing and when you are not. Also when you are younger it is easier to do many more things that you cannot as you age. As you reach 30 the focus is on training for specific body parts and focus on strengthening areas that are injury prone. Again when I play with different teams, there are different kinds of fitness regimens that we focus on. I also think you must understand your body and focus on the kind of injuries you are picking up so that you can train right. Also it would be hard to put down a time bound regimen to fitness. I like to do three strength sessions and three cardio sessions a week when I am not playing, which is about a month and a half in a year. During the playing season I do two weight sessions and one running session and we play for about four days in a week so it is important to just do the top ups as required. It is also important to rest your body so it’s a bit of balance of both. Tell us about the importance of a good diet especially for a sportsperson like you? Eating clean is where I stress a lot as that is where you will really start to see a change in your body. When I say eating clean and heathy the focus is to ensure that the protein and carbohydrate intake is well balanced for you as an individual. What has worked well on my body is a 70:30 combination with 70% protein and 30% carbohydrate diet. I did try the 100% protein diet too but with that I noticed that I was feeling quite fatigued soon and did not have much energy. So I think that it this is a process that you need to go through to see what diet works best with you. Another thing is about sleeping well and the timing of your meals. When you have your dinner for instance is important too. I always try and eat dinner by 7:00-7:30 p.m. so that before I go to bed, I feel light and sleep well too. Is there any match that has stood out in your career or one which brings back fond memories? It would have to be when I played my first test match for India when we were playing in England against England which I hold very close to my heart. I remember we had to save the test match and my nerves were asking if I was worthy of playing at that level. But I was happy I scored 78 runs and could save the match for India. How important is to focus on mental wellbeing in the sport? Do you do something like meditation? For me it is not really about doing meditation but before I go to bed I tried to focus on the game the next day and play the game in my head with both the bat and ball to be mentally ready. So when I step out on the ground I am ready. What are your expectations on this season of the KPL? Considering that I had won the ‘Man of the Series’ in last year’s tournament, I will not be really changing the way I play this year. Yes, I do have the added responsibility of being Captain as well this year but I think it will be about me going and playing how I always do. I have tried to play differently in the past but it has not really worked out for me. I think it will be all about playing to my strengths and knowing my team to play the best way to move forward. Can you share some memories from playing the Indian Premier League (IPL) or other international matches? It has been a good eight years in IPL for me and it has been full of many nice memories. But for me the Champions Trophy which was one of the last matches in which Sachin Tendulkar and Rahul Dravid were playing that I was part of has been memorable. What do you like doing when not playing cricket? Cricket takes up close to 11 months in a year and since I am away from my family most of the time, I like to take off on a vacation with my wife (TV Presenter Mayanti Langer). As we don’t get to spend much time with each other as she is a television journalist we prefer travelling together.